Every time we head out on the road, we check our kiddo’s car seat once, then check it twice to make sure it’s properly installed. Healthy Stuff and the Ecology Center just unveiled their list of healthier car seats and car seat study, so we’ll be checking our car seats yet again, especially when it’s time to purchase a new seat for our ever-growing tots. Spoiler: a Britax and Max-Cosi version earned the honors of “high recommendation” along with an as-yet-unavailable version from UPPAbaby. 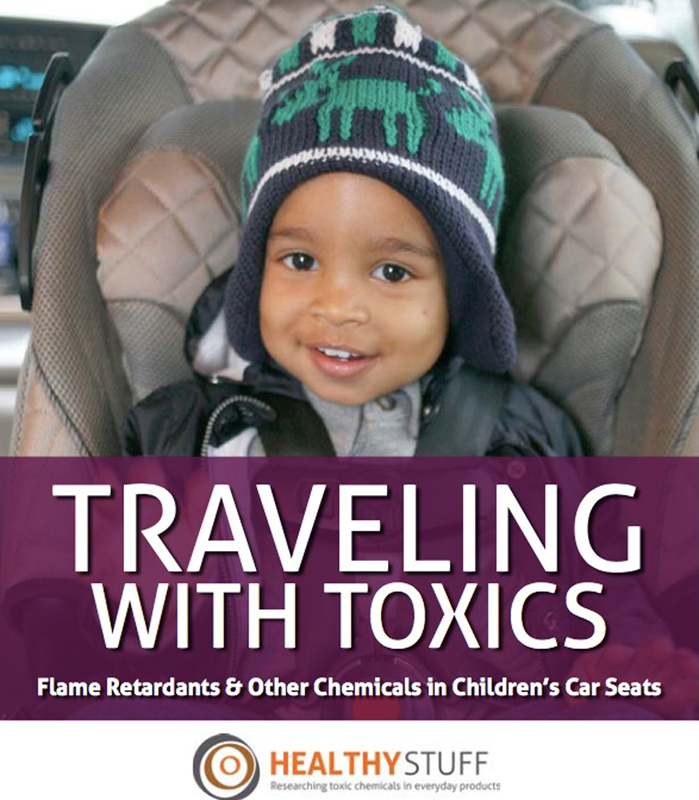 While the study found some promising results including the fact that neither lead nor carcinogen chlorinated tris were found in any of the seats, there is the continuing issue of flame-retardants (FRs): they were found in all 15 of the baby and toddler seats tested, and they were also found for the first time to be evident in the car seat fabrics for all tested seats. Read on for more from the study, and for information about a new flame-retardant free car seat coming to the market soon. 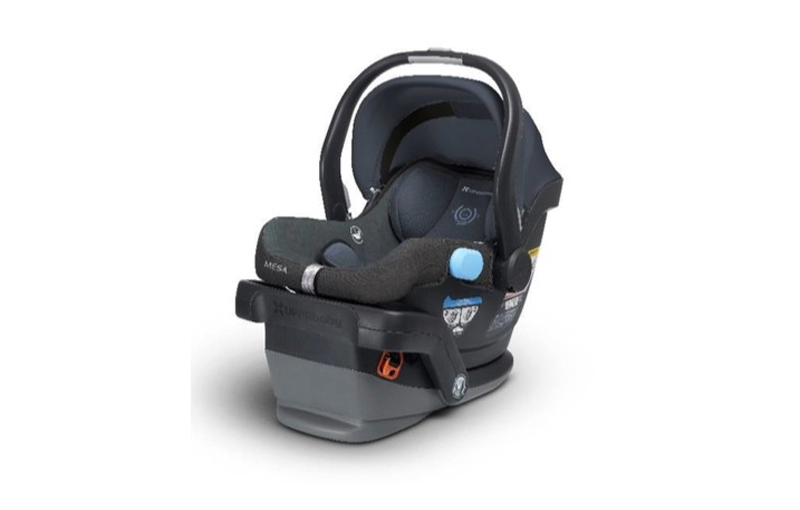 Car seats tested in the study contained bromated FRs and phosphorous-based FRs, and the concern with these chemicals is that they have been linked with health issues including cancer and hormone disruption. Some babies spend a great deal of time in their car seat on a daily basis, so having them up close and personal with a harmful chemical is especially concerning as their little bodies and brains continue to grow and develop. Although some companies are phasing out the FRs with known hazards, they may also be incorporating alternatives that have yet to be tested for toxicity or regulated. The study does note that regardless of these potential hazards, kiddos should always still use a properly installed car seat. The report did offer hopeful news: the UPPAbaby MESA in Henry (shown below) will be the first car seat on the market that’s free of added FRs. The new seat, to be unveiled in March 2017, still meets flammability standards by using wool, and we are hoping other baby and toddler car seat companies will be clamoring to launch their new FR-free version in the near future as well. Every time we head out on the road, we check our kiddo's car seat once, then check it twice to make sure it's properly installed. Healthy Stuff and the Ecology Center just unveiled their list of healthier car seats and car seat study, so we'll be checking our car seats yet again, especially when it's time to purchase a new seat for our ever-growing tots. Spoiler: a Britax and Max-Cosi version earned the honors of "high recommendation" along with an as-yet-unavailable version from UPPAbaby. 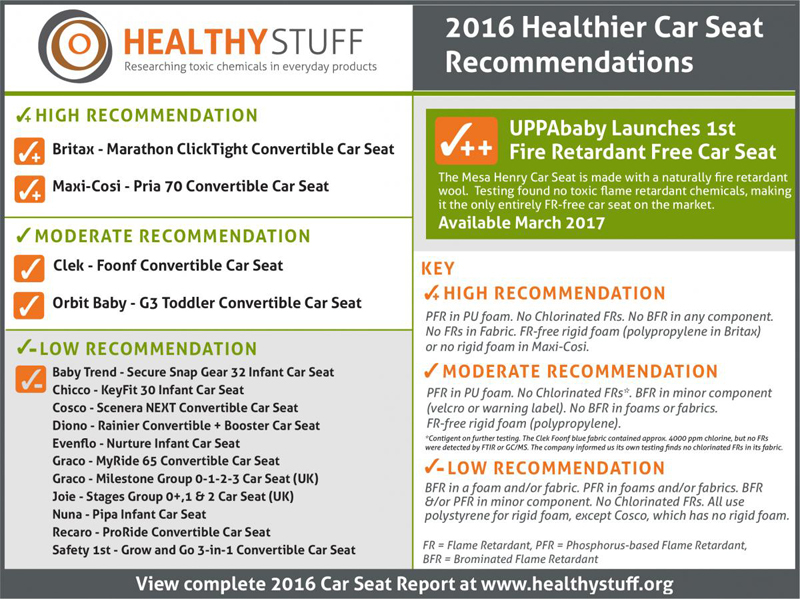 While the study found some promising results including the fact that neither lead nor carcinogen chlorinated tris were found in any of the seats, there is the continuing issue of flame-retardants (FRs): they were found in all 15 of the baby and toddler seats tested, and they were also found for the first time to be evident in the car seat fabrics for all tested seats. Read on for more from the study, and for information about a new flame-retardant free car seat coming to the market soon.